Harvey Electronics is NZ owned & operated business, specialised in car audio (sales & installation). We cover entire Auckland region - Call out may apply in case of on-site installati­on. NZSA approved technicians for methodological installation. 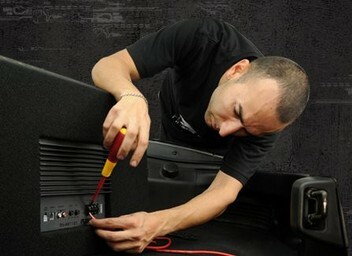 *Car audio installation for all - Japanese and European cars. *Fitting kit for cars with dash player. *Amplifier installation for factory fitter music systems. *Inbuilt amplifier bypass for cars. *parking sensor and reversing cameras. *We do alarm installation for Japanese Cars. *Basic Alarms starts from $119 including installation. *If need extra parts cost extra. *Insurance Approved alarms from $260 including installation. Feel free to drop us a line for further support and don’t forget to check our listing. Super low price for a super professional finish. Amp, sub and head deck installed no worries. Super fantastic service, called and they said I could show up any time after 11, showed up and they knew exactly what we wanted done and we were lucky enough to walk away with no issues and a full sub+amp install with a head-deck that doesn't have original RCA's! so amazed at the work these guys did in so little time! In, Install, Pay, Out, so simple, professional, and fantastically priced! Outstanding service! Cannot rate these guys highly enough. Phoned them at about 4pm, based on other reviews that I read here... got a quick response and quoted a fair price for work needed...and they offered to fit it same day - tonight! - they arrived on time as agreed at 6:30pm, and its all done by 7:30pm. Just took my van around the block - great sounds, bluetooth phone connection works too. Superb work, friendly knowledgeable guys. Recommended! These guys where fantastic. Helpful, fast and did a great job for a very good price. You won't find better in Auckland, they deserve all these reviews so happy I found them. Amazing. On very little notice over the holidays they did an install for us. Great service. highly recommended. Thanks guys for helping us out of a hole. These guys are awesome. Very knowledgeable and extremely quick when they installed my headunit and speakers. Highly recommended. Great work, they got me in same day, took only half an hour for simple stereo and speakers installation. Knowledgeable friendly staff, would recommend for sure! One year warranty is a plus too. Good work!